When you're throwing a party, a lot of elements come together to make it perfect. In addition to music, lighting and great food, you need event furniture. The right props and furniture sets the stage for a fun and memorable evening. Party furniture can consist of a number of different elements. It includes the tables and chairs for your guests to sit at, but it also includes props. When someone does event furniture design for your party, they look at your theme, and they decide which pieces of furniture can create that vibe in the event space you have rented. While there is some overlap from event to event, in many cases, the type of party furniture you need depends on your theme. One of one most popular party themes ties into Las Vegas or Monte Carlo. With this theme, we create a venue that looks like a gambling casino, and we use a lot of different furniture to set the mood. In particular, this theme is popular for corporate events, but it can also be used for weddings, bar and bat mitzvahs, birthday parties and any other type of event you may may planning. We also use furniture to create other themes. Often, the furniture is the centerpiece at a Vegas-themed party. A blackjack table or several blackjack tables sits at the center of the space. That gives guests something to do, and that encourages mingling and helps guests get past the awkwardness that sometimes happens at the beginning of a party. Then, we can set up tables. If you're having a sit down dinner or a buffet, you may want the party furniture to include formal dining tables and chairs. If you're trying to strike a more casual tone, you may want pillars or high tabletops without chairs. That gives guests a spot to rest their drinks, and it's ideal for events with passed hor dourves. The furniture doesn't always have to be functional. Sometimes, furniture overlaps with props, and it's simply there to emphasize the theme of your event. For example, with a Vegas-themed event, we might set up a display near the doorway of the event. That could include life size playing cards representing a winning poker hand or a great blackjack hand. Then, we can put up a sign that says "Welcome to Las Vegas" or "Welcome to Monte Carlo". We can also add in customized signs that remind guests of why they are at the event. That includes signage such as "Happy Birthday" or "Congratulations to the Happy Couple" or "Welcome to the Annual Corporate Holiday Party". Of course, in addition to playing cards, we can also use giant dice, poker chips or large roulette wheels. These types of furniture can create a great backdrop on the stage. That helps make your presenters, musicians, DJs or other party entertainment look thematic as well. Interested in some of these party furniture design ideas? Want to learn more?  Then, contact us at Track Seven Events today. We want to help you create your next party.